Posted June 11th, 2018 by admin & filed under Focus On Health, Hand/Wrist. “ME – a certified hand therapist” I tell them! But no…..they want to know “for sure”. Here are MY recommendations on where to go…who to ask…if you are not sure. Neurologist – these are doctors that specialize in the treatment of nerves. They can diagnosis you with carpal tunnel based on your description, clinical test, and do a nerve conduction test, which helps determine how bad the compression is at the wrist level. If it’s moderate to severe, then they will refer you the hand surgeon. Sometimes, they will recommend hand therapy. Hand surgeon – this can be an orthopedic surgeon or a plastic surgeon that specializes in hand problems. They too can diagnosis you with carpal tunnel at the wrist level with clinical testing, but they will refer you to the neurologist to do the nerve conduction and if it is moderate or severe, then then will recommend surgery. Sometimes, they will recommend hand therapy if you are looking to avoid surgery. Certified Hand Therapist – mostly are occupational therapist who have a specialization in treating people with arm and hand problems. We can perform clinical testing to help determine not only if you are having carpal tunnel compression at the wrist…but here at Hands on Therapy Services, we do a thorough clinical testing series to see where else along the path of the nerves could be giving you problems and what else is giving you problems that are CAUSING carpal tunnel. The nerves start at the neck, pass down the shoulders and elbow, and THEN down through the wrist. We develop a program that’s geared specifically for YOU because each person comes in with differences. We are the hand specialist that can help you get rid of carpal tunnel syndrome without injections or surgery. Did you know that you can get help from your hand specialist WITHOUT getting a script or going to the doctor first? Before I show you how I can help YOU, let me first distance myself from all the other occupational/physical therapists out there. What I do and the advice that I give here at Hands-On Therapy Services is not like anything else that’s been provided before. 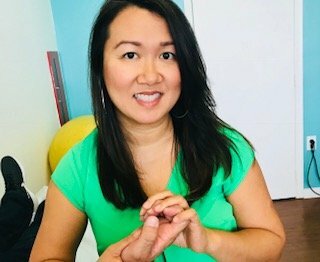 I am an occupational therapist and certified hand therapist who have spending years studying and practicing how the hand and arms move and how the nerves function and helped many people who have suffered not knowing that they could have gotten help BEFORE it got so bad that they felt like they had to have surgery. Injections and Surgery are options, which then require therapy after as well. There are times when those options are needed BUT…. If you are someone that don’t want to live feeling miserable because of the numbness and pain…. Then consider speaking with our hand specialist….get some clarity on what you can do NEXT, how you can help yourself….WITHOUT waiting to go to doctors.